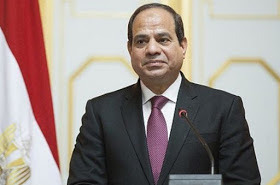 Egyptian President Abdel Fattah El-Sisi pardoned 712 prisoners, state news agency MENA said on Wednesday, and security sources said many of those released were young people imprisoned for anti-government protests. A full list of those pardoned was not immediately available. Since coming to power in 2014, El-Sisi has presided over extensive repression against Islamist opponents and liberal activists who, according to rights groups, is the worst period of political repression in Egypt's history. He has issued pardons several times a year, including on important national holidays, often releasing students and young protesters.